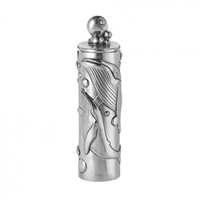 Pewter children's bubble blower depicting bubble blowing humpbacked Whales. 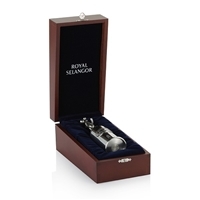 Gift boxed by Royal Selangor. 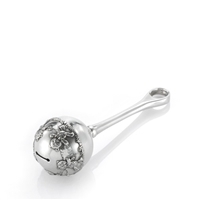 A highly unusual gift this sterling silver bubble blower will provide hours of fun for the little ones! 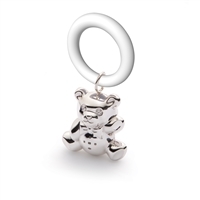 Sterling 925 silver teddy bear teething ring. Made in England by Francis Howard. Gift boxed. 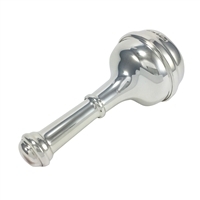 Sterling 925 silver baby rattle with teddy bear motif to the end. 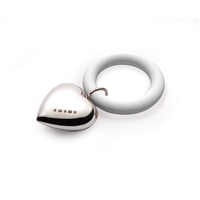 Made in England by a fine silversmith. Gift boxed. An beautifully fashioned container with handle ensures that the toddler's hands remain free and clean, providing hours of safe and harmless fun and joy. 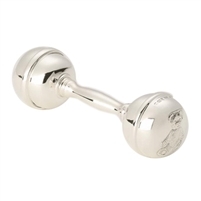 Sterling 925 silver baby dumb bell style double ended teddy bear rattle. Made in England by a fine silversmith. Gift boxed.